We don’t know anything about who drew or wrote this- not uncommon for some Golden Age publishers. The first thing we see is basically a bigger version of the cover image, only with an additional text on how the road to stardom is never easy, etc. 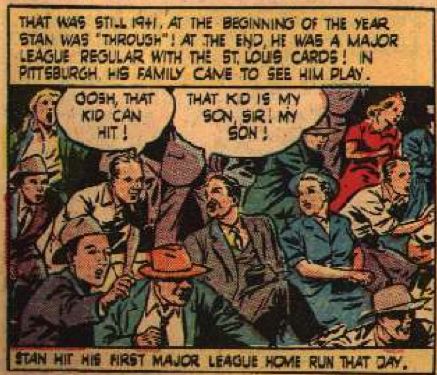 We begin with him joining the Cardinals organization (despite his father’s objections), where he was initially a pitcher. 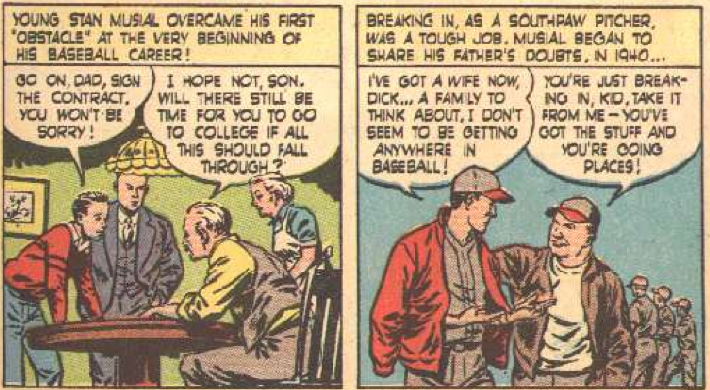 After troubles, he is considering whether he is made for professional baseball. This is, like, in the first two panels. Compare to how in the Ripken bio-comic there were a few pages of him as a youth. That’s the difference between an entire comic and one six-page story. They basically just did the 1942 season in one line and then pretend that he missed 1943, ’44 and ’45 to WWII. 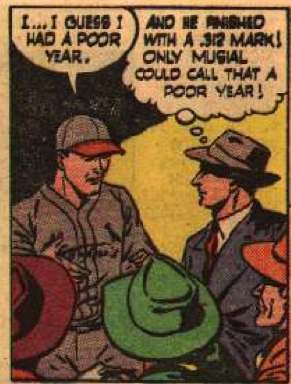 Actually, the only season Stan Musial missed due to the war was 1945. Whoops. 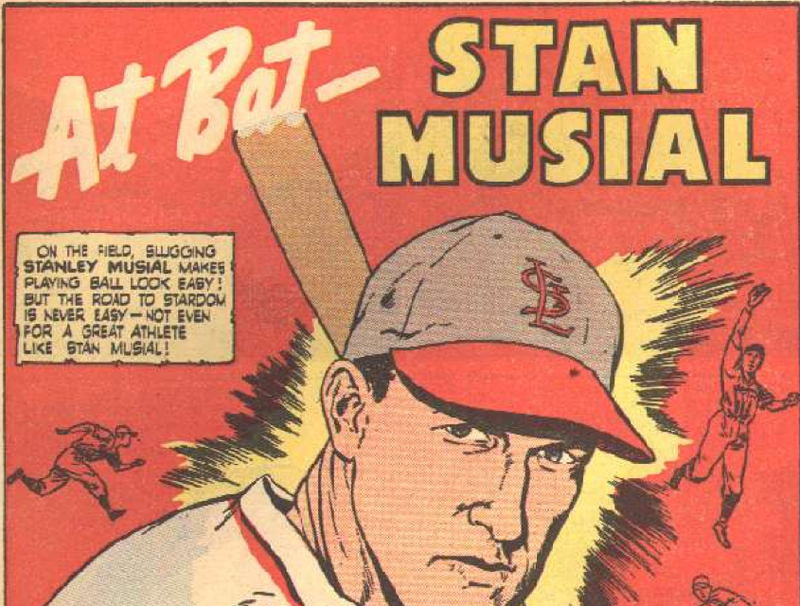 Musial then proceeds to, in his own words (his actual words were different, but go with me), have a crappy year. Well, a crappy year for him. He still hit .312. This is even made fun of in the comic itself. 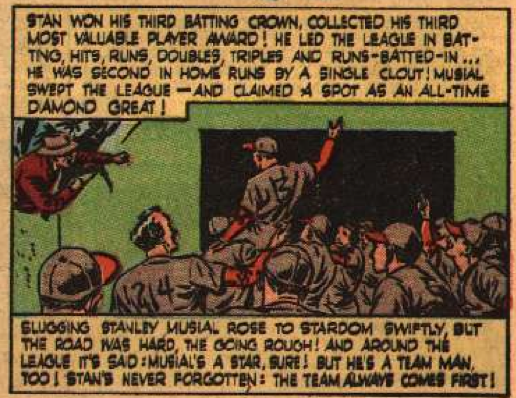 The comic ends with Musial having a great day in 1948 against the Dodgers, and then, finally, has a image of him being carried off on the shoulders of his teammates. Jeez, I hate these biocomics. I don’t think I’m going to do them anymore. They are boring. 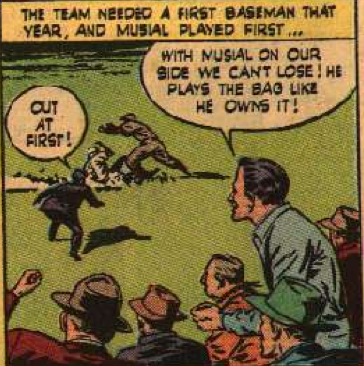 But, don’t worry, because next time on the Baseball Continuum… STRANGE SPORTS STORIES. 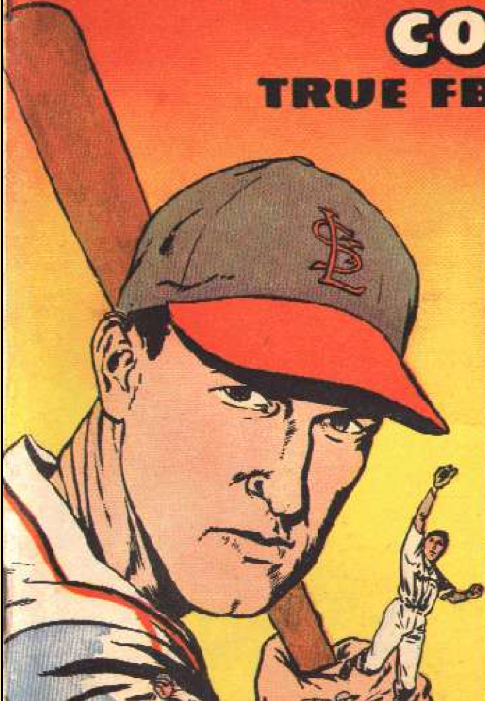 This entry was posted in Books and all their spinoffs, MLB, Uncategorized and tagged baseball, Bizarre Baseball Comics, Bizarre Baseball Culture, Cardinals, St. Louis, Stan Musial, True Comics by danglickman. Bookmark the permalink.